Václav Kučera was studying at the Charles University in Prague (1948-51) musicology, aesthetics, philology, and in Moscow at the Tchaikovski Conservatoire (1951-56) composition with Vissarion Shebalin and musicology with L.A.Maazel, V.A.Zuckerman, N.V.Tumanina etc. He graduated with the dance drama "The Brigands' Fire" and a dissertation about Leos Janacek. 1962-69 was scientifically active at the Institute of Musicology in the Czechoslovak Academy of Sciences. In 1969 to 1983 he has been the leading secretary of the Union of Czech Composers and Concert Artists. Since 1972 he has been simultaneously teaching composition at the Music Faculty of the Academy for Performing Arts in Prague, since 1988 as professor. Since 1997 he is also professor of musicology at the Palacky University in Olomouc. From his international activities: 1978-82 he was member of the Executive Committee of the International Society for Contemporary Music (ISCM), 1988-92 he was president of the International Music Festival Prague Spring, 1992-98 member of the Executive Committee of the European Association of Conservatoires, Académies de Musique et Musikhochschulen (AEC). As composer, Kucera has been more and more retreating from his admiration for Janacek, Stravinsky and Prokofiev and from an affort to express the character of Czech and Moravian melodiousness to go forwards so that to find a truly modern musical idiom and his own individual compositional style synthesising great expressiveness with New Music compositional technology. Kucera's entire work includes more than 150 titles of music in different genres inclusive electronics. His compositions won a number of distinctions: Obraz ("The Tableau") for Piano and Orchestra the Prize of Queen Marie-José in Geneva (1970), Lidice a special recognition of the Czechoslovak Radio (1970) as well as the Prix d'Italia (1972), the string quartet "Consciousness of Continuities" the Prize of the Union of Czech Composers and Concert Artists (1983), the children chorus "Son tre noti che non dormo" the Trentino International Prize (1994), the mixed chorus "Esta noche" the Premio Municipalidad Gran Canaria (2002) etc. 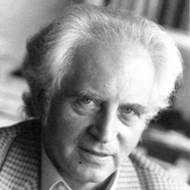 Kucera's works have been published by Supraphon, Panton, Peters, Ricordi, Bärenreiter, Moeck, Deutscher Verlag für Musik, Billaudot, Editio Moravia, Intersound and other publishers. As musicologist, Kucera published books "M.P.Mussorgsky - Music of Life" (Prague, 1959), "Talent, Mastery, World Outlook" about beginnings of soviet music avantgarde (Prague, 1962), "New Trends in Soviet Music" about dissent-composers in the Soviet Union (Prague, 1967), a number of scientific studies, public lectures, radio and TV music-educational programmes etc. Amoroso. Cyklus písní pro mS, flétnu a harfu. Brueghelovské inspirace pro flétnu, bcl a klavír. Diptychon. Hudba pro flétnu, basklarinet, klavír a bicí. Duettini pro hoboj a fagot. Show records 1 - 20 from 91.